Texas oil millionaire T. Boone Pickens is trying to use the Dallas state courts to squash his son’s first amendment rights after Mike Pickens wrote a tell-all blog about the famed hedge fund manager’s troubling family dynamics. The blog titled 5 days in Connecticut posted ‘my story’ which centers on how 85-year old Boone’s emotional abuse caused his 55-year old son’s drug and alcohol abuse along with a litany of other alleged facts going back to childhood whippings. In the original compliant Boone first tried to call Mike’s actions Cyber-bullying/ Cyber-harassment but the actual legal claim that was filed was invasion of privacy and common law defamation. Texas doesn’t actually have Cyber-bullying laws for adult online speech but that didn’t stop Caleb Melby, Forbes staff writer, to headline a story last month that Boone was suing for Cyber-bullying. In something that reads like a hit piece written especially for a Forbes labeled Billionaire, who likely is only a millionaire these days, Forbes misses the guts of the legal dynamics that are actually happening. Boone, who has a history of suing if you write negatively about him, is throwing cash at lawyers to stop speech because it feels uncomfortable. He even got a two week temporary injunction order on his son, Mike, to force him to take the story down but Mike’s lawyer ,Collin Porterfield, got it amended on March 1st at a hearing about the injunction. Court transcripts show Judge Parker also told Boone’s attorney that they didn’t have a Cyber-bullying claim but Forbes ignored that or didn’t bother to check the transcript and still reported this was the legal action Boone took. On top of that, after the court allowed Mike to print an edited version of the story, Boone fired his lawyer and picked a new one named Leland de la Garza of Shackelford, Melton & McKinley, LLP. The new attorney’s 3rd amended complaint doesn’t focus on Cyber-bullying this time and was filed April 13th, a few days before the Forbes story ran. Still Forbes runs an inaccurate headline that Mike is being sued for Cyber-bullying. Boone first filed the suit in February under his daughter Pam’s name and then tried to hide his role in the litigation by adding on just his initials to the claim but the Dallas Morning News caught wind of the story and published the material his son Mike wrote on his Dad’s emotional abuse that Boone was trying to silence. It was printed because of course the story ended up in public court filings. Boone then got three of his kids to sign statements they were never abused emotionally and filed them with the court. This week he also got the court to grant an emergency deposition of Mike, albeit with a two hour limit. One of the questions Boone’s lawyer stated they will ask is who gave the Dallas Morning News the court exhibit with the original ‘my story’ that Boone desperately doesn’t want published online. This looks like an attempt to show malice on Mike’s part but then Boone would have overcome the objection that the info was public for all the press to see in the first place and he’d have to prove Mike knew what he wrote wasn’t factually true which is hard to do when it’s written as opinion. This afternoon Boone’s lawyer sent notice of Mike’s May 8th depo to his attorney stating Boone will be bringing his bodyguard ,Terry Ruckel, to the deposition along with his long time friend and divorce lawyer John V. McShane; who is also a member of Mike’s Alcohol Anonymous Group. McShane has either magically become an expert in defamation suits and free speech or just wants to be there to grill Mike who he has known since Boone divorced Mike’s mom decades ago. Mike says he’d actually written his story for $200 in 2009 when a rehab counselor had approached him to share it for a publication they were writing. The story had been online since 2010 but it wasn’t until his sister Pam saw it online recently that the family took notice. The story started to get spread around the internet when Mike began tweeting a link of ‘my story’ to every TV reporter he knew, even Barack Obama and Mitt Romney, after and emotional event happen in the family’s lives. His Nephew and Boone’s grandson, 21-year old Ty Pickens, died from a drug overdose while a student at Texas Christian University. But what apparently sent the angry Boone clan into a full court legal assault against Mike was when Pam alleges Mike emailed a group of Pam’s friends, under a made up name Robert Barris, and called attention to his family tell-all blog; that also included language saying that Pam uses their mom’s illness to drum up business. Here is a copy of that email that is now part of the legal argument in the family’s claim for defamation. Then, in the same breath, you ask me to trust you with my life and money, in an area where you obviously have NO experience or expertise. Secondly, I find it appalling that you would use your mother’s woes to “drum up business.” Do you have NO integrity? Thirdly, I do NOT appreciate you sending my email address around the globe. Were you too lazy to “figure out” how to mass email this wholly amateurish/improper “message” without exposing your entire address book ? It is my understanding that ALL sales/marketing email’s sent through Morgan Stanley’s server and otherwise, must be approved by your compliance department; certainly this was not an approved email, was it ? Mike latter wrote on his blog that Pam is an addict (of what he didn’t say) and she used his mom’s credit cards to pay for personal expenses even though Pam is a V.P. of Morgan Stanley in the wealth management division. Mike also cc’d Morgan Stanley executives on the email which Pam claims in court filings got her in trouble at work. Pam fought back with her own family admissions saying in a statement filed with the court that Mike hit her at a family Thanksgiving dinner on Boone’s multi-million dollar ranch, which Mike flat out denies on the record. As a result of this litigation, Boone is now facing an anti-slap hearing May 17th. Mike’s attorney is suing for a frivolous lawsuit with the intent to stop speech that affects the public interest. Poterfield will argue any story about family emotional abuse that leads to drug addiction is a story the public should hear because it could help another family. Boone just sees it as airing dirty laundering by an upset son embellishing on their history. In Texas the anti-slap laws are pretty strong forcing Boone’s side to prove they have a valid claim before a trial even begins. If he wins that motion it means Boone would have to pay for Mike’s legal fees. Boone Confused why his money can’t get the courts to stop his Son’s speech? At present all of Mike’s first amendment rights have been preserved due to quick legal work by his lawyer Porterfield. He can print anything that is known through his own personal knowledge or his opinion about his family and he’s continued to entertain and inform on his blog whose page views have skyrocketed since the lawsuit news broke in March. Forbes has inaccurately reported on the temporary injunction and is under the impression Mike’s speech is being control by the courts but a review of legal filings clearly shows otherwise. Apparently fact-checking went out the window when Randall Lane took over Forbes. Mike’s online humor has cost him his own pain this week. Boone called his granddaughter Ali Pickens, Mike’s daughter, to tell her he won’t be attending her college graduation at his alma mater Oklahoma State University. Mike says Boone told her he couldn’t come because there was a ‘death threat’ on Mike’s blog. Boone is supposedly talking about this post from Saturday that doesn’t name him anywhere in the post. It shows an image of a greeting card from Rotten Cards that makes a statement on Narcissist. Apparently Boone just assumed Mike was taking about him. There have been no police call warnings to Mike about this alleged death threat. The only calls have come from Boone in what appears to be emotional manipulation of his Granddaughter. Boone and his Attorney would not comment on the case or his last minute move to bail on his granddaughter’s graduation. As a result of Boone’s phone call Ali also uninvited her dad to the ceremony (he’ll still driving his wife to Oklahoma to see the graduation though) and Boone won’t be flying with his entourage to Oklahoma on his private jet either. Boone could have another reason for not wanting to show up at OSU. His $175 million donation to the college in 2005 was gutted when the University invested it in one of Boone’s hedge funds that lost most of its value in 08 (according to internal performance statements from BP Capital seen by this reporter). 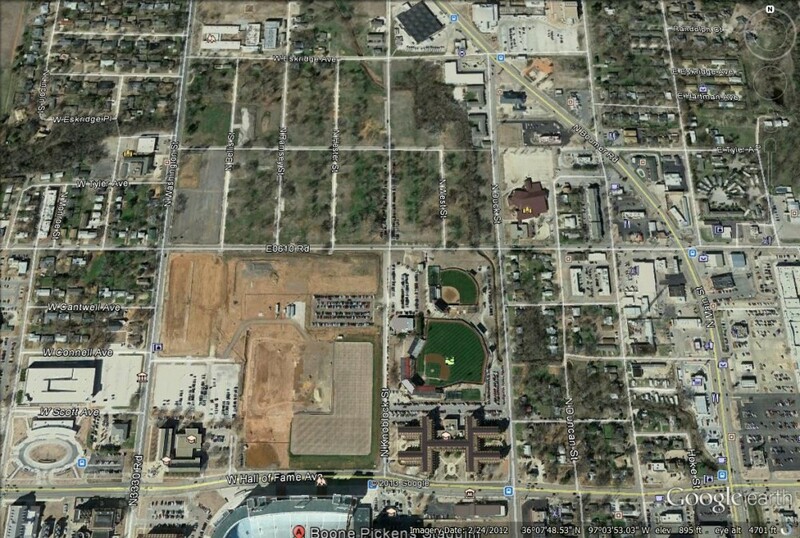 OSU is now stuck with a big brown ugly vacant lot alongside several blocks of razed housing next to the school that was supposed to house a beautiful sports complex and sports village. Boone said in previous press reports the project will move forward but a Google maps search shows an abandoned eye sore. In March the hedgie fund titian lost an appeal to sue a broker-dealer of life settlements who he got the school to invest with and lost their investment. It looks like another case of Boone using the courts and lawsuits to try and shift blame. As of April 2012, a BP Capital investor report shows Boone is only managing $325 million, which is down from $5 billion at the funds peak. Returns have been negative ytd or flat for the 2 commodity fund and 2 equity energy funds in 2010/2011 according to the April 2012 internal investor report. Prior to 08 Boone had booked some killer returns for his investors (in 2000 his BP Capital Energy Fund booked a 4447.68% simple annual return! That fund is now closed to investors). His investor report also states he has 20 percent of his own money in the funds. Stay tuned as I continue to investigate the ‘extortion’ claim Boone has drummed up now against Mike and his lawyer in what looks like a move to disqualify Porterfield from representing Mike. This is Mike Pickens recovery story that T.Boone doesn’t want anyone to see. It’s filed in public court documents but has been taken down from Mike’s blog while they litigate the case. It’s a compelling read and printing out the story makes it easier to see. I feel like Forbes is one big ad machine these days and their content has gone out the window. Plus they let anyone blog under the Forbes name. It’s a dying brand Teri. I don’t know Mike or his famous father but this story sounds like an angry parent who cares more about his social standing at Dallas parties then communicating in a healthy way with his son who looks like he’s trying to follow rehab training and talk about his past behavior. Or he’s just mad at Dad and wants the world to know it. Either way I don’t see how a court would stop the son’s speech? I wrote for Forbes in 2010. The magazine and online have different editors and fact checking standards ..but still it depended on the editor. In this case there clearly was very little fact checking of Caleb’s reporting or his editor is just in bed with T.Boone’s people on the story. I read the Forbes story two weeks ago. What a difference two reporters can make when they see news in a different light. Good detail and good reporting but I still think Mike is being mean in his blog. I guess it’s good being mean isn’t against the law yet. Although with some of these cyberbulling laws they are trying to make it that way. Boone needs to grow a pair and handle the child like commentary from his son. Law or not… T. Boone Pickens is a bully, to say the least. 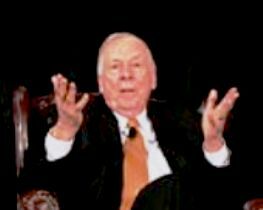 I have been disgusted with T. Boone Pickens ever since his cavalier dismissal of the impact of the BP oil spill. “The ocean will clean all that up…” was his response to journalists after the record breaking disaster. How could an individual such as this possibly be eligible for a defamation suit? As for Caleb Melby et al, sticking by a discredited story is another great reason to abandon the Main-Stream-Media. Wow! The fund is down 93.5% from its peak? The T. Boone Pickens Empire is obviously no longer an empire. His greed and disregard for propriety have caught up with him. It appears to me that T. Boone Pickens is desperate to squash any hint of family intrigue. Could it be that he is concerned about family members feuding over what is left of his estate when he passes on? It’s apparent t Boone Pickens focus in life has been money and power not family and friends. He pays to have company and care. He will die alone in a facility he built with faceless nameless caregivers. I’m sure his sons Michael’s story is the tip of the ice berg. I’m certain his ex wives, his other children (if not in fear of losing a possible inheritance dangled at them to coerce their silence) would have much corroborating debasement information of a cold, heartless moneygtubbet, their father, ex husband. He leaves a mess of razed homes destruction at OSU, not botheringvto bequeath some of his monstrosity Mesa Ranch to repair the mess he made at OSU. He didn’t figve a fig about the environment. He invested in sltertive energy purely for money he could make, as evidenced by his mind-numbing response to Gulf Oul spill disaster. What a pathetic excuse for a man….a bankrupt daughter working as a secretary in some doctor office penniless. Loathsome Strump is a step-up in trying to do include his kids in his business so they may have poverty free lives. Albeit unfortunately Atrump is a crook and brought them along to his shady , material world void of any empathy for those without. He might as well be Famed Chicago Boss of Bosses more over NY mobsters, Sam Giancanna who did little for his children and brother as well.